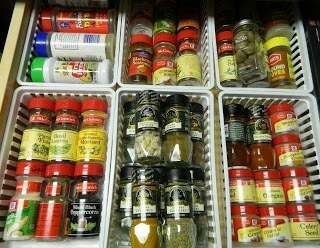 Do you always have to search for your spices when you’re cooking? 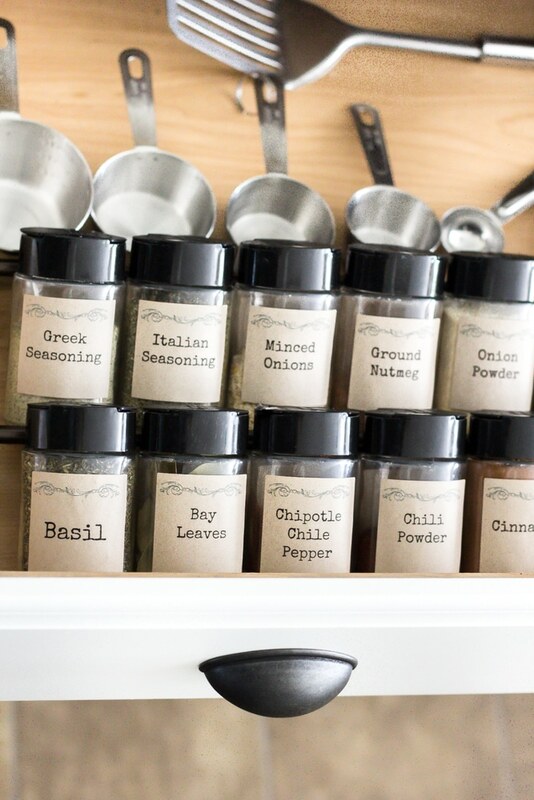 Is your spice cabinet a frustrating area in your kitchen? Perhaps you ended up using the wrong spices for a recipe because, well, some spices look the same, and you happened to pick the wrong one! How annoying that can be? Thankfully, there are simple DIY projects that can make all those frustrations disappear. And if you are afraid that it might cost that much, well, it doesn’t have to. 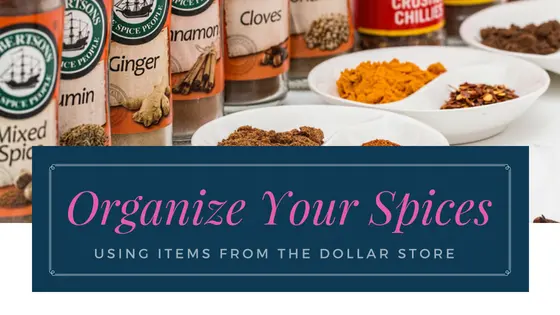 You don’t have to break the bank to get your spices organized and prepare a delicious meal. 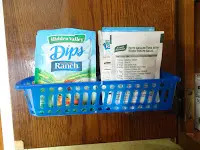 You can do simple DIY projects that are crazily affordable, with the help of certain items that you can find at the dollar store. Here are ten of them! Enjoy! Originally made for shoes, but, you know what creativity can do, right? This is probably the easiest of them all. 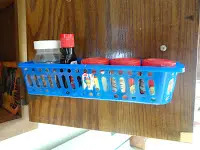 All you have to do is buy a shoe organizer from the dollar store. Mount it on the door of your pantry, then simply stuff your bottled spices inside. 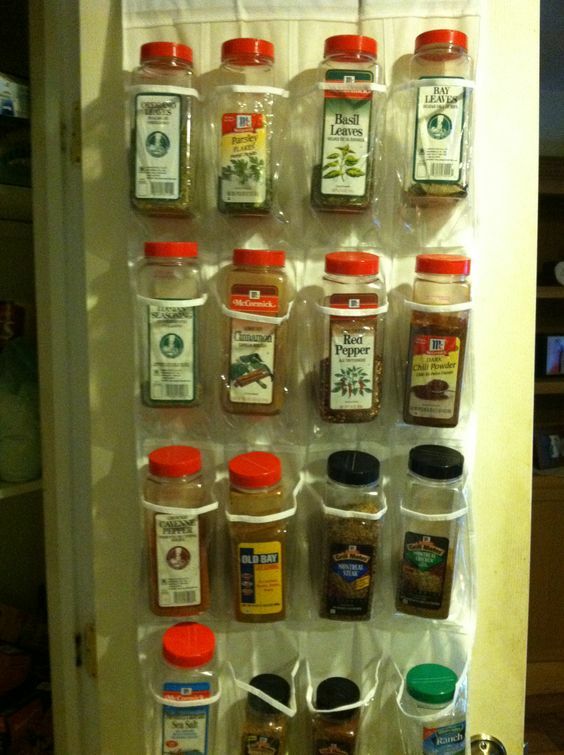 If you prefer using plastic bags to store your spices, here’s a gorgeous way to keep them organized and handy. Mount a towel bar on the door or wall. 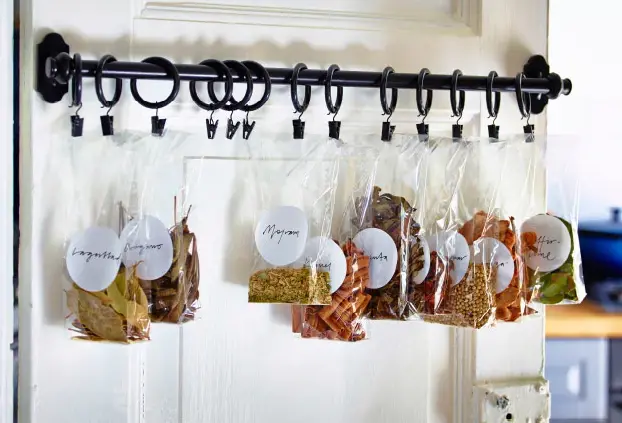 Then use shower curtain rings and hooks to hang your bags of spices. Ah… the ones we use for cooling cookies. 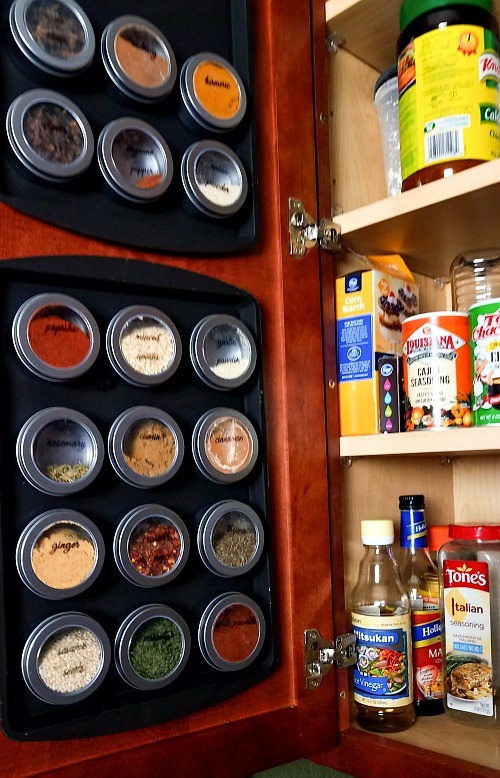 Lori did a great job in transforming a cooling rack to a wire shelf that now holds her spices. Not only that, she doesn’t have to do a lot of cleaning because, well… wire shelves don’t need much of that. 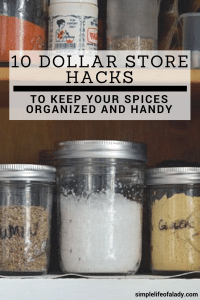 So if you are thinking of how to hang your spices on your pantry door, and save time on cleaning, this one is a definite way to go! 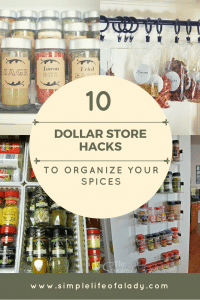 If you want your spices and herbs to be stored in the same type of containers, check out these spice jars from the dollar store. See how beautiful they can be with the spices’ different colors! Don’t forget to add labels! You can use a label maker to make transparent labels for the jars. If you want a lighter option, take a look at this another set of spice jars from Jen’s kitchen. 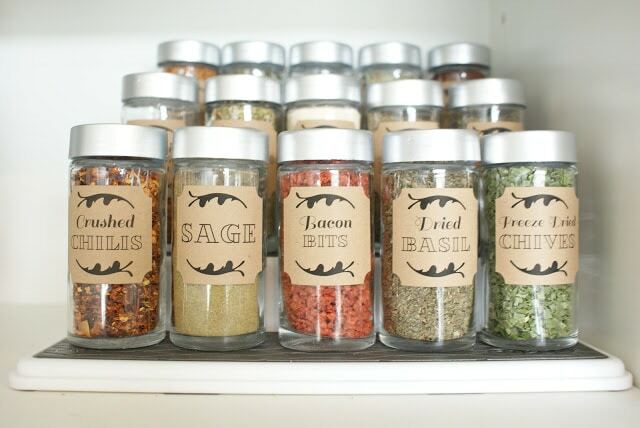 And another really cute spice jar organization from Bless’Er House! 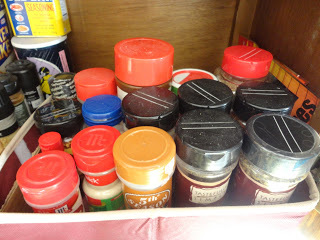 Lauren used tension rods in the drawer where she arranged the spice jars. She also put in all her measuring cups and spoons in the drawer. 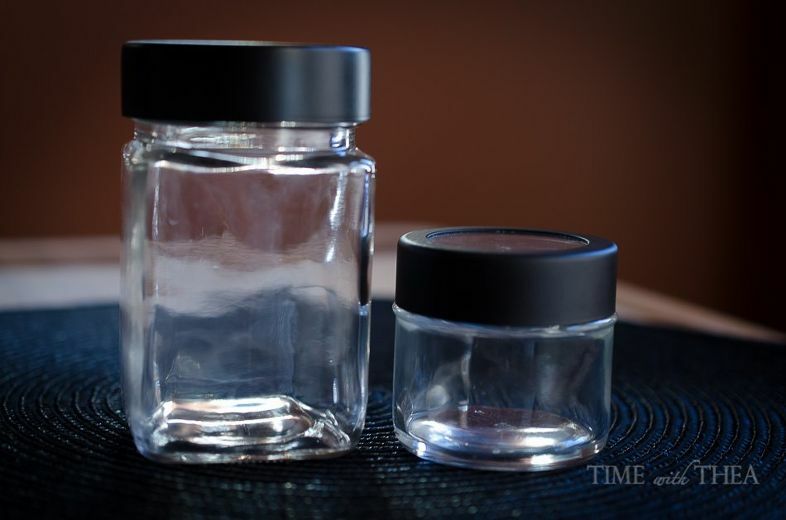 These are small magnetic containers with clear lids that you can hang inside your cabinet door. Rachel used a cookie sheet and spray painted it. She used a chalkboard spray paint so that if she needs to write on it with chalk markers, she can easily do it. 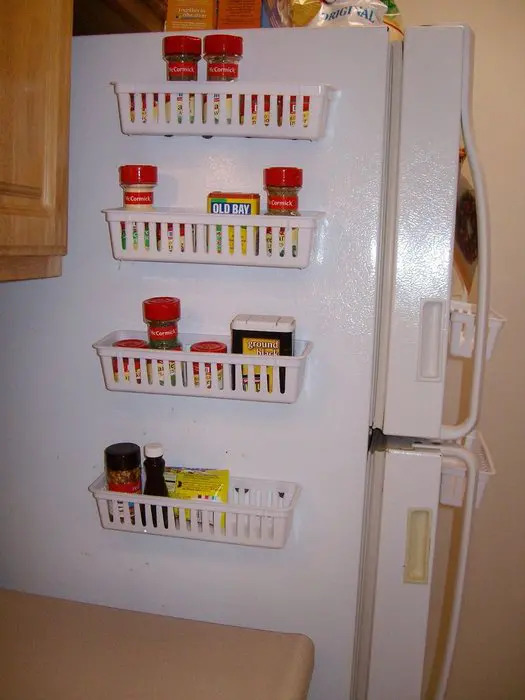 Now that the spices don’t take up cabinet space anymore, you have more space for your goodies. You can also stick them to your fridge if you prefer that. If your cooking needs large amount of spices, using mason jars is probably the most practical idea to store them. 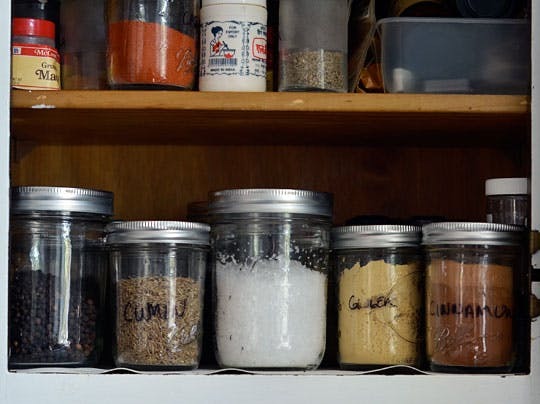 Mason jars can hold large quantities of spices. They can also hold those that you store whole like cinnamon sticks and whole dried chiles. 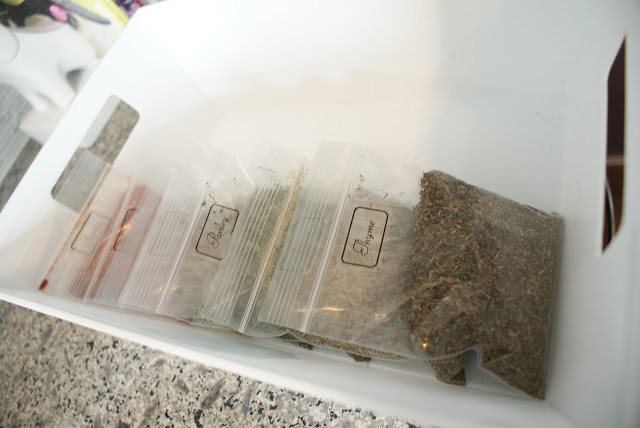 If you and your family love camping or cooking outdoors, you will always have the need to bring your spices with you. 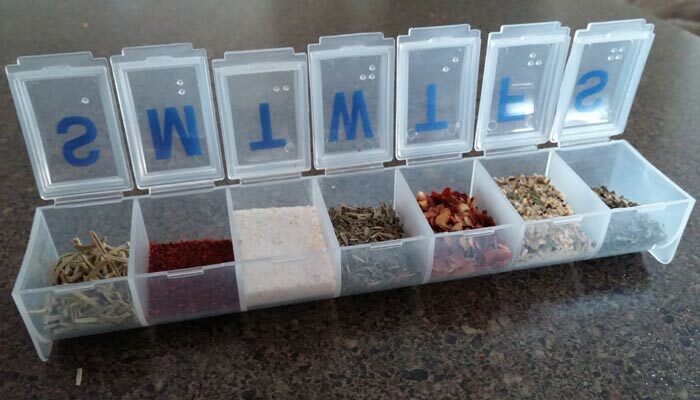 A reader of Do It Yourself RV recommended using a pill case as a spice organizer. 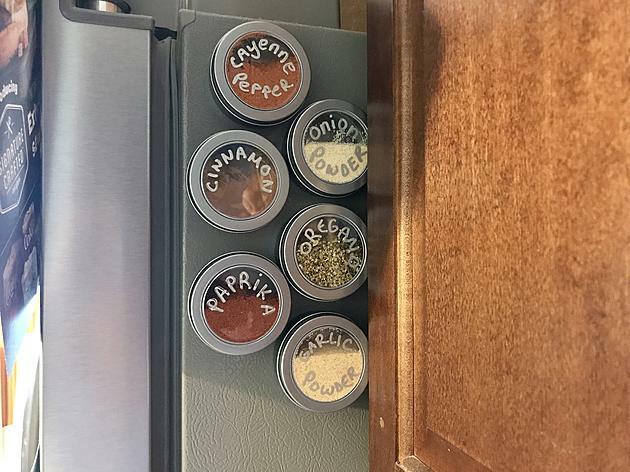 Find one that has enough compartments for every spice that you need. A little caution though; some finely ground spices and herbs may leak if the pill case is turned over. So pack it in a way that it won’t be turned over. But of course that depends on the quality of the pill case that you chose. If it leaks, you can buy an airtight one for those finely ground spices. This is a fabric container from the dollar store. You just have to put cardboard at the bottom to make it strong enough to contain your bottled spices. 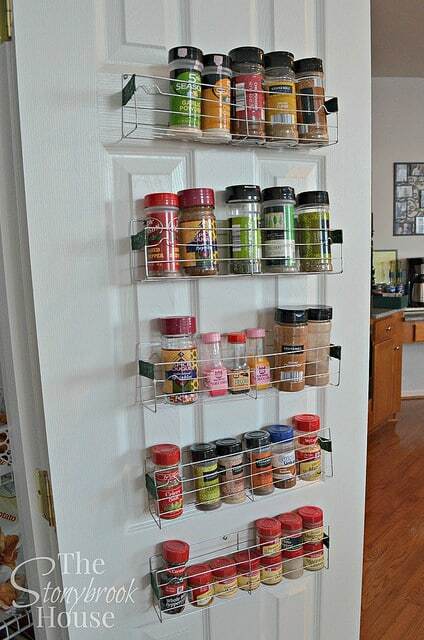 Baskets also come in handy in organizing your spices. Just screw them on your cabinet doors. 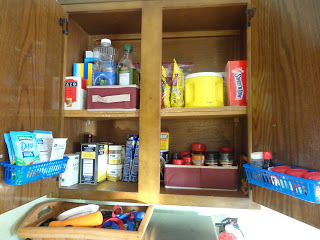 Now here’s a full view of the organized spices inside the cabinet. 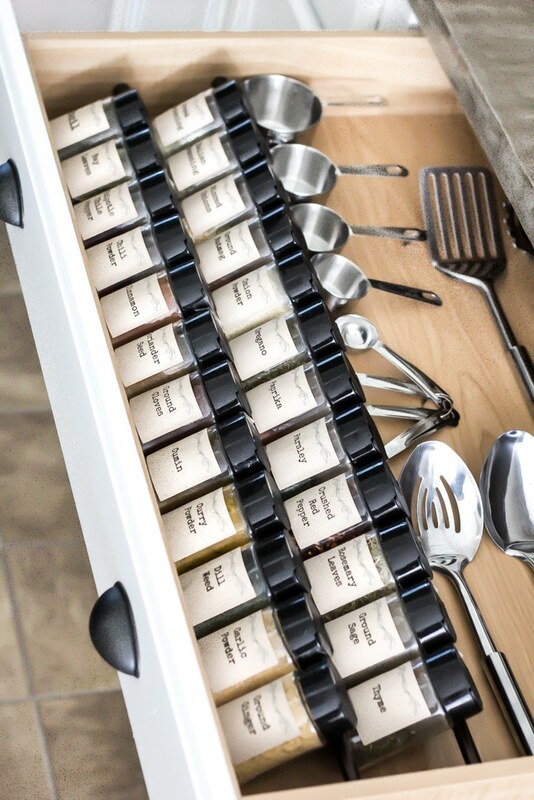 Aside from screwing them on cabinet doors, you can also use them in drawers to create a separator for your spices. This is what Anita did. Or stick them on the fridge. A bag of spices are always a fraction of the price of bottled ones. But what happens to those extra? Those that you can’t fit into the jars anymore? 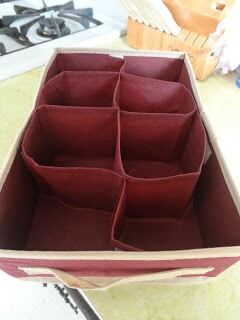 Grab some little craft bags and store your extra spices in there. Then safely keep them in a drawer. Pull out one when you need a refill. Again, don’t forget to put labels on each of them. Thank you for reading up to the end of this list. If you are planning a trip to your local dollar store soon, remember to check out these items. If you are not enjoying your time when you prepare a meal because you can’t find a certain group of spices, you know that it’s time to change. 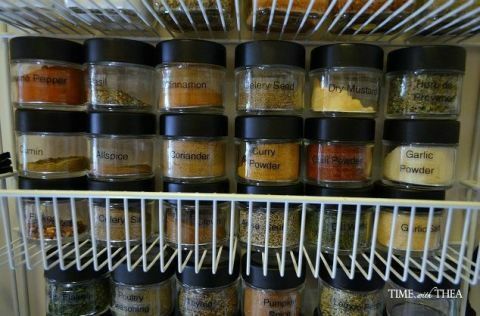 It’s time to put all those spices in one place, where it is easy for you to get them. Just remember, organization doesn’t have to be expensive. 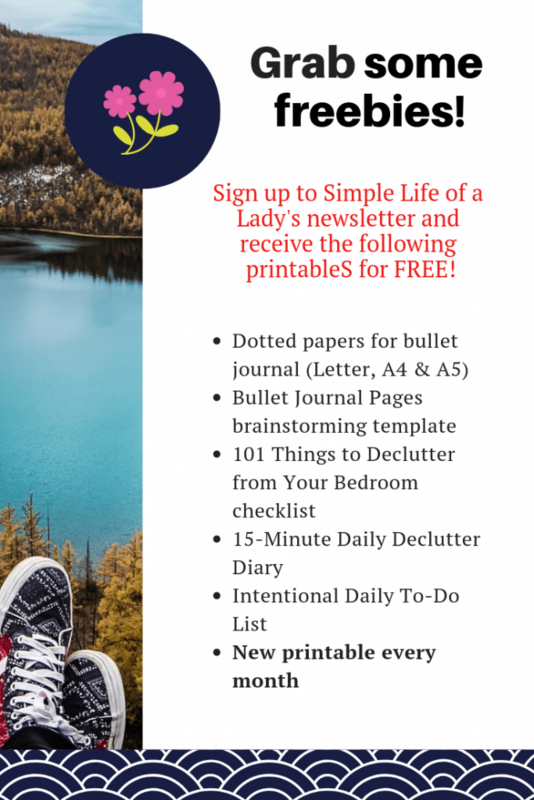 As I’ve written in my previous posts about dollar store finds, all you need is a little bit of creativity, imagination, and open-mindedness to learn from other people. 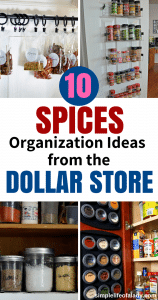 Do you have more items from the Dollar Store that can help organize spices? If you do, feel free to leave a comment. I’d be very much happy to know about it! Found this article helpful? Take a second to share the love and PIN it! Thanks a lot for caring!